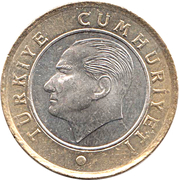 Crescent and Star (National Emblem) at the top & Date at the bottom of designed ring of Rumi art. 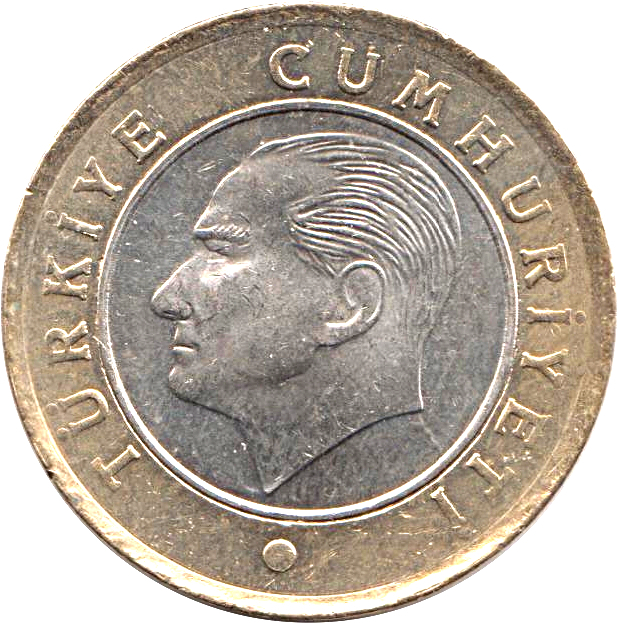 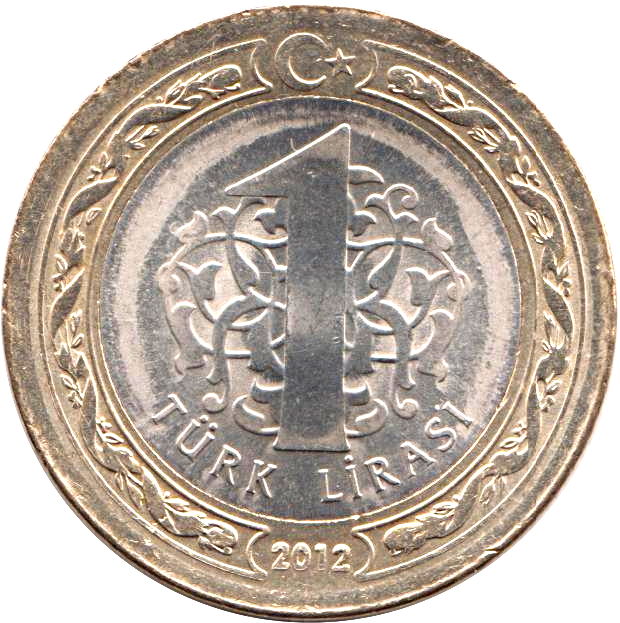 Denomination in the centre & Rumi Motif in the background. 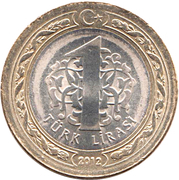 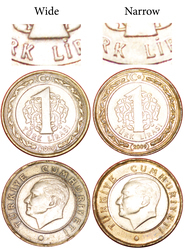 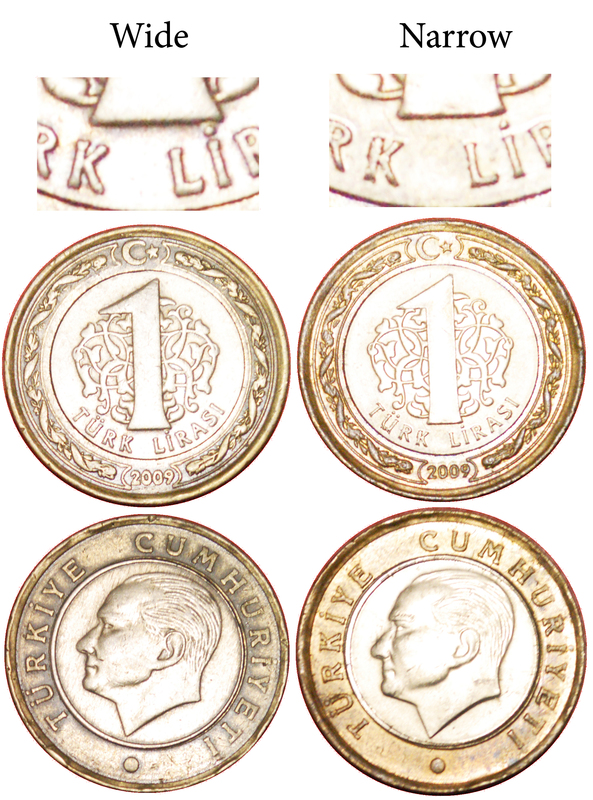 Out of real variates the types with wide and narrow bottom of numeral "1" on reverse in 2009 are the most popular.